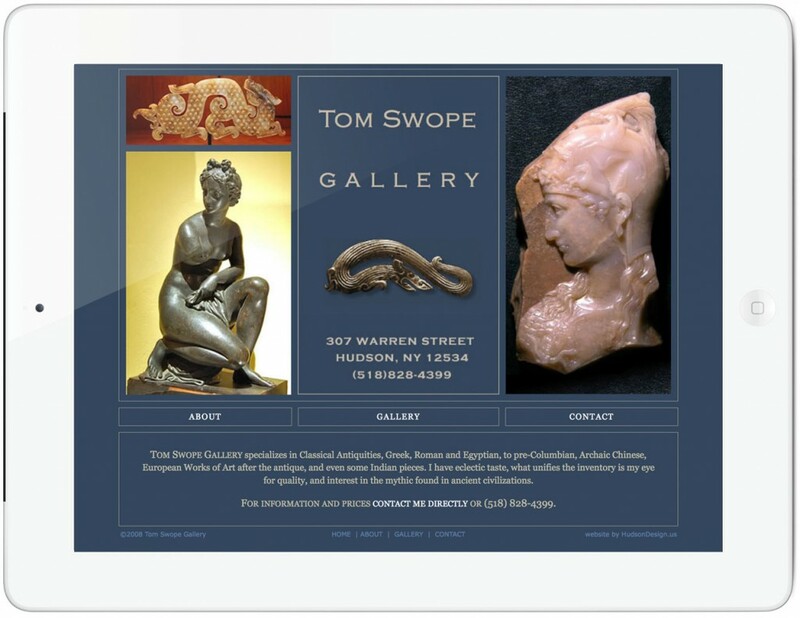 When Tom Swope entered the gallery business in Hudson, NY, he requested our services for a “simple website”. 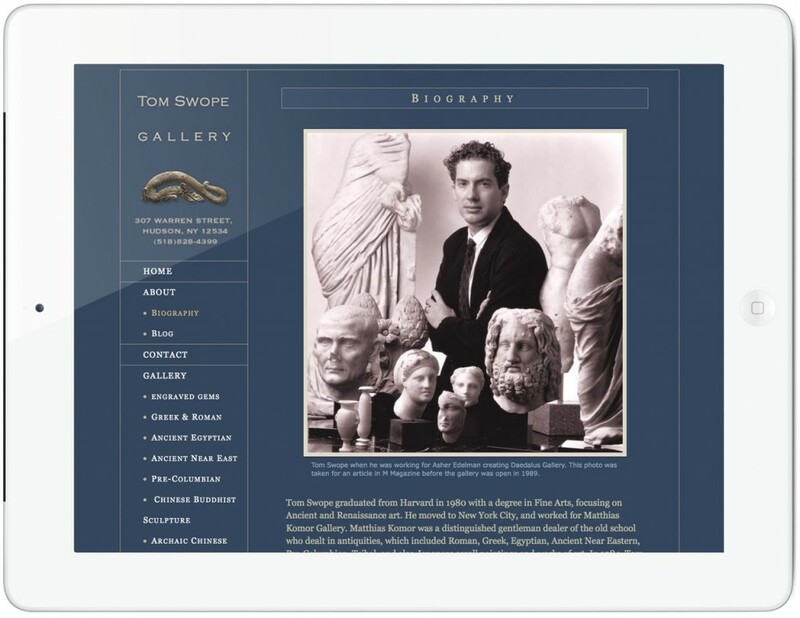 Tom Swope Gallery specializes in antiquities from around the world. 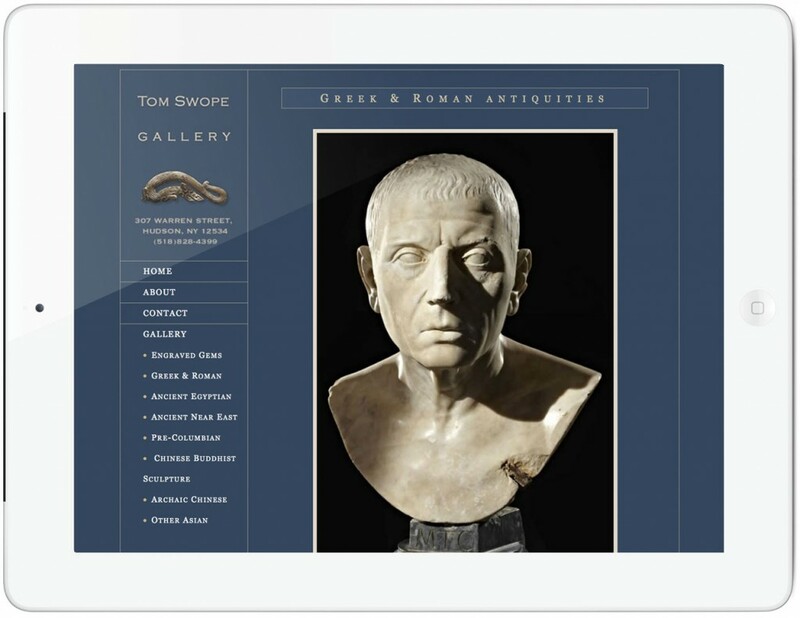 He wanted the artifacts to speak for themselves (at the gallery), and also have an online presence. 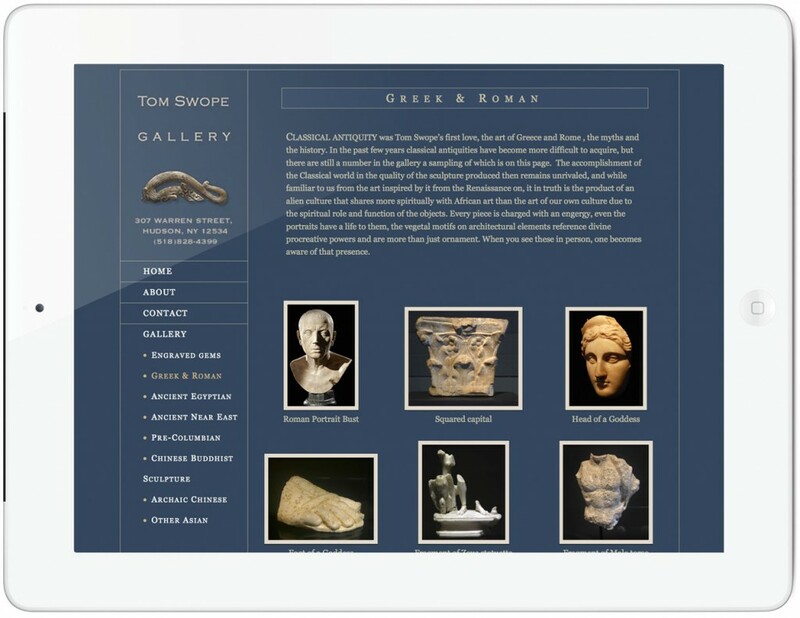 We do simple, and we do in depth—whatever the client wishes. In this case, Tom wanted a website he could add to, and update himself. 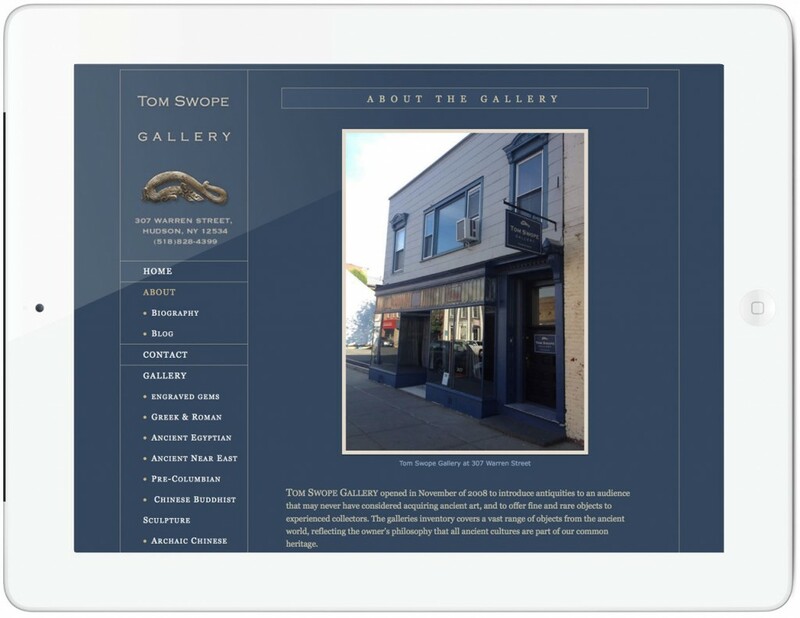 We designed it in Dreamweaver, and he uses Contribute (a web publishing and website management tool) to edit inventory.